Hot Summer days call for something cold and soothing.We had gone for the baby’s 6 month shots and we had to wait a long time for our turn.We came back home-hot,thirsty and hungry. I just made a big bowl of this salad and Ms.Aadya finished her portion happily,telling me,”Mumma this is the best salad ever.You are the best chef!” What can I say happy Mumma,happy baby-girl! Put everything in a big salad bowl;toss and serve immediately. Note: if you want to make it earlier,just chop everything n store in individual boxes. Next Post And we are standing now! 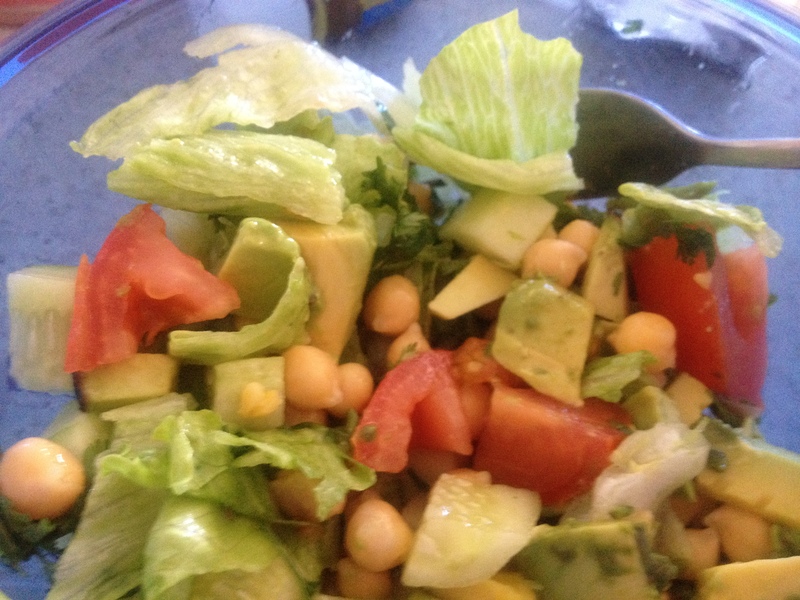 We love chickpea salad too! Thanks for sharing. And what a lovely thing for your daughter to say! Thanks Rima..:) Sorry for replying late..its auto-approved,so I didn’t realise you had commented.